Looking for an easy and convenient way to get propane delivered? Look no further! 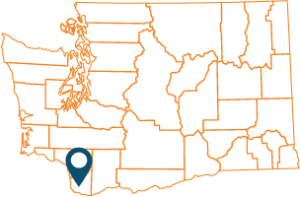 Pacific Coast Energy provides commercial and residential propane delivery in Battle Ground, WA. Our top priority is keeping your home warm or your business running. We offer great pricing, flexible scheduling and fast delivery by our professionally trained drivers. Our support staff provides helpful and friendly customer service, along with all the other great benefits Pacific Coast Energy offers. Let us show you how Pacific Coast Energy can help keep your home cozy or your business humming no matter the season. Propane is now the most widely used alternative fuel in residential homes because it’s safe, cost-efficient, and offers lower carbon emissions. From energy-efficient tankless water heaters to stylish stainless-steel appliances, propane products offer you exceptional performance at a much lower cost than electricity. Additionally, Propane can provide homeowners with superior comfort and efficiency compared with other energy sources when natural gas is not available. Schedule your residential propane delivery in Battle Ground today! Our residential propane service provides onsite delivery of propane to your home’s bulk storage tank at everyday low prices. Need at tank, no problem! We can provide on-site storage equipment starting as small as 125-gallons right up to configurations supplying thousands of gallons of on-site fuel storage. Leasing a tank from another provider? No Problem. We switch out your old tank for a new tank for free, move any propane you may have already paid for and even call your previous provider to have them pick up the old tank! With Keep Full Service you will never have to check your tank again. Your deliveries are scheduled using advanced calculations that measure daily temperatures in your area, your usage history, an estimate of your own future usage as well as other factors to determine when the next delivery will be needed. If you have a business or high propane use home, we can monitor your tank remotely. We outfit your tank with a wireless tank monitoring system. Your tank “phones home” so we always know when you need propane and schedule your deliveries accordingly. More and more businesses in Battle Ground are choosing propane for a wide range of applications. Most commonly these applications will include propane auto-gas, lawn care equipment, forklifts, ground service equipment or power generators. Pacific Coast Energy is here to help your business with propane delivery cost, convent onsite fuel storage, dependability and performance. Contact us today to find out how your business can get better service with more savings! If your company uses propane for its equipment & appliances or sells propane to your clients, Pacific Coast Energy has the right propane service for all your business needs. We can provide on-site storage tanks starting as small as 125-gallons right up to configurations supplying thousands of gallons of on-site fuel storage along with onsite fuel delivery to ensure your tanks are topped up and ready to meet the demands of your business. Whether filling bottles for your own equipment & vehicles or reselling propane to your clients, our dispensing equipment provides a safe, fast way to dispense propane. If you are operating material handling or construction equipment that uses propane bottles for fuel we can supply bottles, cages and on-site refill services. We truly believe in the value of partnering with our customers to provide the highest level of service at the fairest price. One customer at a time, we have focused on building great, long-term customer relationships. Whether you are looking for a propane delivery service or need a new tank, Pacific Coast Energy has you covered. We’d love to make a trip to your home soon to show you our great prices and service! Wither it’s your home or business, we know it operates 24 hours a day, 7 days a week. Fortunately, so does ours! We are available 7/24 to assist will problems, schedule emergency fills or anything else needed to keep your home or business running smoothly.